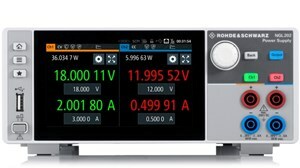 Rohde & Schwarz NGL200 Series Programmable Power Supplies ! !Special Offers!! 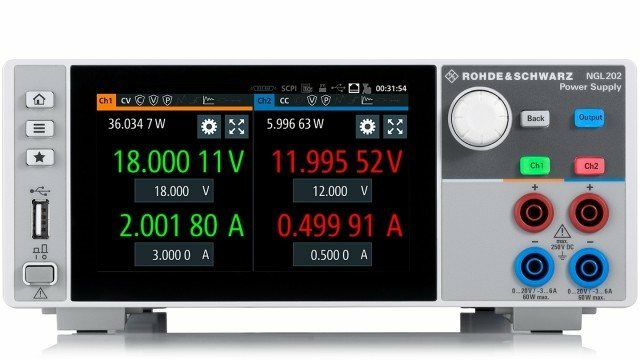 Thanks to their high accuracy and fast load recovery time, the R&S®NGL200 power supplies are perfect for challenging applications. Their two-quadrant architecture allows them to function both as a source and a sink to simulate loads. Their short recovery times enable them to handle fast load changes that occur for example when mobile communications devices switch from sleep mode to transmit mode. 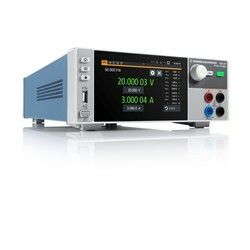 Premium Arbitrary power supply with 1 output (0 V ~ 20 V ; ≤ 6 V: 6 A, > 6 V: 3 A), with sense connectors and a resolution of 1 mV / 0.1 mA. The NGL201 can also be used as an electronic load. Operating manual and Power cord. in 11-21 days in stock. Premium Arbitrary power supply with 2 outputs (0 V ~ 20 V ; ≤ 6 V: 6 A, > 6 V: 3 A), with sense connectors and a resolution of 1 mV / 0.1 mA. The NGL202 could be used as electronic load.